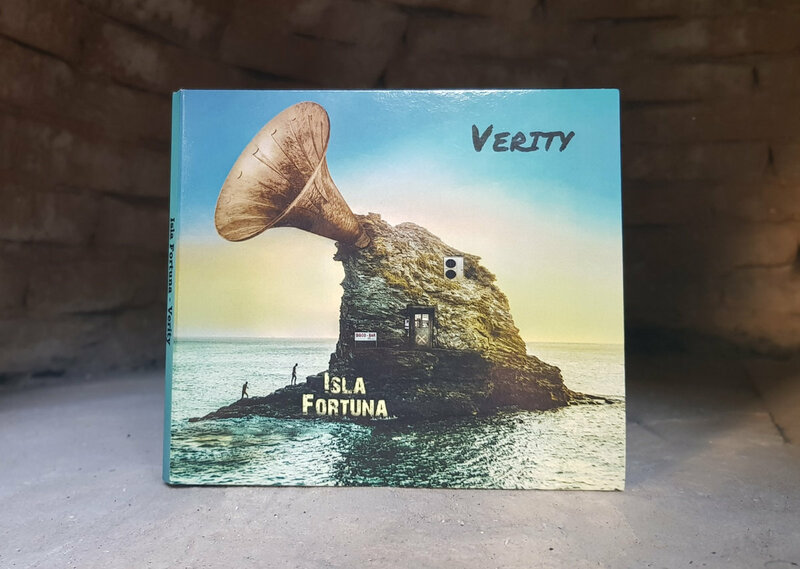 ISLA FORTUNA from Cyprus, released their debut album "Verity" during 2018 (read review here). We had the chance to ask them a few questions and we are happy to present you this interview. IF: Hello! Thank you for the feature in Downtuned. 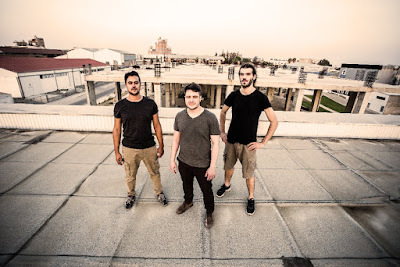 We are Isla Fortuna from Larnaca, Cyprus. The band was formed in 2013, in Larnaca. We formed this band to create our own music. 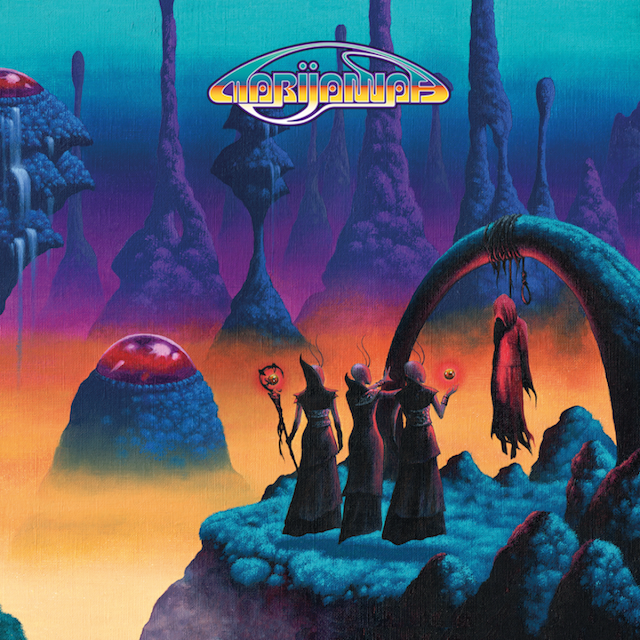 We wanted it to be heavy, psychedelic and incorporate our individual influences. IF: We all participated in other bands and projects in the past. Stefanos (drums) and Nikolas (bass,vocals) used to play together in metal bands when they were younger [they’ve been bandmates at some point], as well as in greek rock bands as session players. Lykourgos (guitar) was one of the founding members of an alternative rock band in London back in the day, as well as band member with Stefanos on another project. We all played different styles, ranging from classic rock to thrash metal and many more. 3.-How did you come up with the name "ISLA FORTUNA"? Does it mean something particular for you? IF: We formed the band just after the economy of Cyprus collapsed, in combination with the Greek one. During that time we found the island as we hadn’t seen it before; no one was smiling, everybody was miserable. We thought it was ironic as Cyprus had always been a place where several civilisations came to find their fortunes since ancient times. 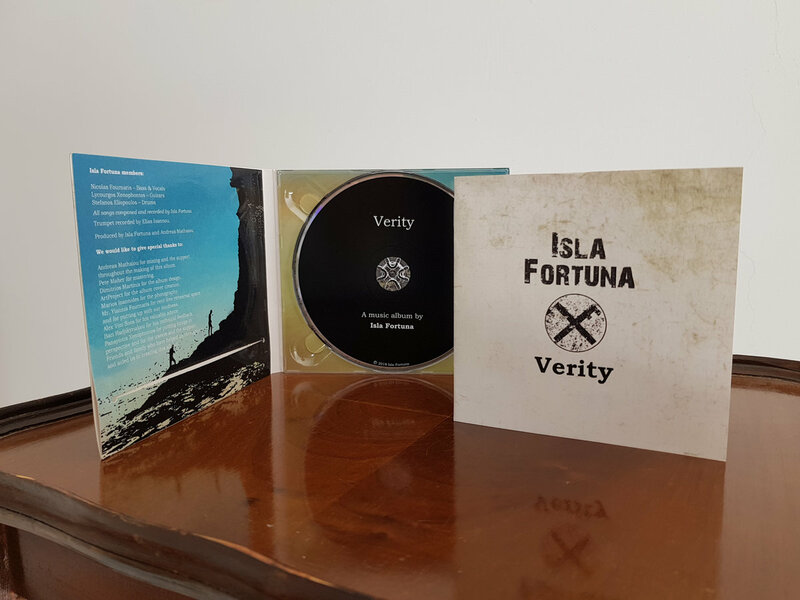 The name was inspired by some old maps we had seen and we found it very fitting, since the island was all but ‘fortunate’. IF: Well, the music scene has been small since we were younger. It has now expanded a bit and more, bands are creating original music, which we like. We now have awesome bands such as The Ladderman and Abettor. As far as the audience is concerned, there’s a core of people actively searching for this music and going to gigs. They are not a lot, but they are increasing. 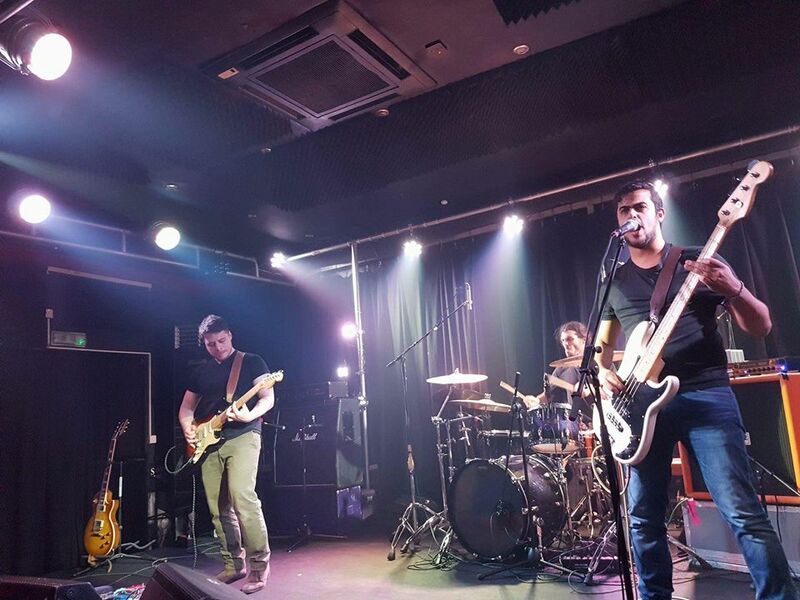 Our start was a bit of a rocky one, since we started this band in Cyprus in 2013, and back then we all lived in different cities in the UK for some time. During that period, we traveled a lot so we could meet, write songs and play together. This is why we released an album a few years later. As far as playing live, we needed our material to be ready; that took some time given the circumstances. 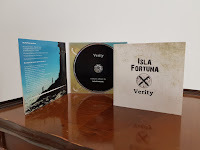 5.-Almost six years have passed since Isla Fortuna came into existence. What has stayed the same and what is different today in the band and in the way you work? IF: Not a lot has changed since, except that we have much more experience now, in both our songwriting process and live performance. Other than that, we remain three good friends, taking decisions together democratically. We believe that our best feature as a band is that there is not even a hint of egoism on any level. There is no ‘me’; it’s only ‘us’. Each one of us plays what we all think serves our music the best. 6.-What were the biggest difficulties that you encountered in producing and releasing your debut album? Are those difficulties going to affect the way you'll handle a full album release in the future? IF: The first difficulty we had is at the times we all lived in different cities and/or countries. Obviously, this made the writing process slower. However, since April 2018 we are all living in our hometown, Larnaca. This has made our progress much smoother. 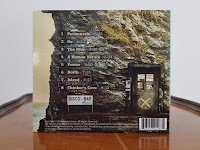 In regards to the album release, it was a big learning curve for us, as we had to do everything ourselves, apart from the technical aspects of recording, mixing and mastering. Other than that, we found the artwork, we designed the album, and put everything together. Based on this experience, we believe that this process will be much easier in the future. 7.-Do you have plans for a second release soon? IF: Yes, indeed. It will probably come in 2020. 8.-How would you describe your music to someone who doesn't know you yet? Is that the style that defines "ISLA FORTUNA" or is there room for further experimentation? IF: This is quite difficult for us to express through words. 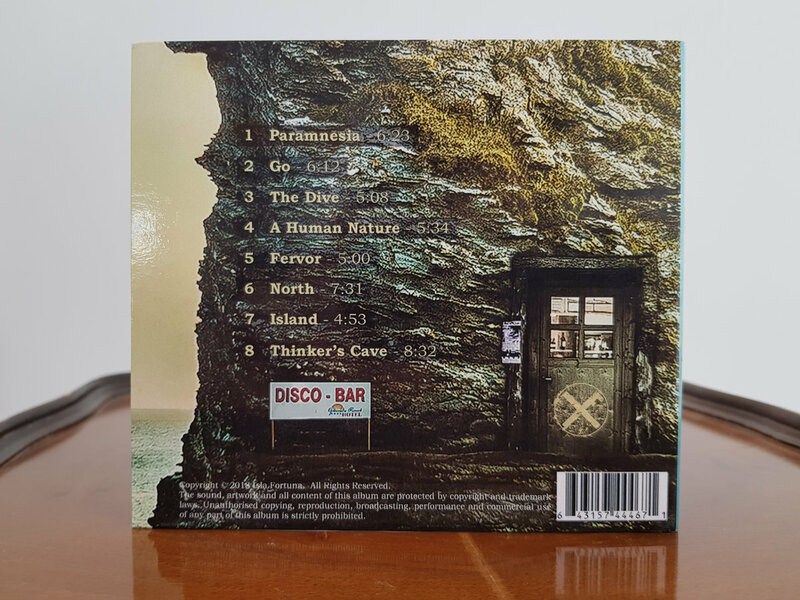 We only describe our music as ‘rock’, as we disagree with labeling music. The best way to describe it is to give someone the music so they can listen! As far as the style is concerned, we treat each song separately, with the sounds we all decide together and think serve the music the best. This inevitably includes further experimentation on every step. We believe it’s the natural evolution of our sound. IF: We all had different influences and different music backgrounds, ranging from Bob Dylan to Markos Vamvakaris and all in between. We wanted to create something entirely of our own, which had a desert vibe. We started the band amidst the Cypriot summer, which is very, very hot. It seemed fitting to use heavy and psychedelic sounds, but we are not limited to them. IF: Our songwriting process is quite complex, in the sense that there is no ‘recipe’. Each song is born from an idea one of us brings. This might be a vocal line, bass riff, guitar riff, melody or drum groove. We treat each song differently, progressing on the path we think best. This implies that there’s a lot of jamming going on. This is the same with the emotion and lyrics we want to share. Each song delivers something unique that we think fits to the vibe. The lyrics mostly reflect on our own experiences and perspective, often on social issues. IF: Communicating, playing and sounding great as band on stage creates the passion and energy that is shared with the crowd. So, in a sense, it is a cycle between the band and the audience. When we receive this vibe and energy back, it’s a very motivating and rewarding feeling, and makes a gig from being good, to being great. IF: There’s quite a few. We could name All them Witches, Elder, Tool, Queens of the Stone Age, Massive Attack, and many more. The list is endless. 13.-How do you imagine "ISLA FORTUNA" in 2029? IF: Good question. We haven’t dared to imagine it 10 years from now, but we’d like to be touring, as well as keep recording and releasing music. And of course, be in good health. IF: We have quite a few gigs coming up in Cyprus. Our plans also include writing new material for a second album. Playing gigs outside of our country will present a great opportunity for us to play our music to new audiences; a thing that we love. IF: Thank you! We’d also like to thank you for this interview and the feature. 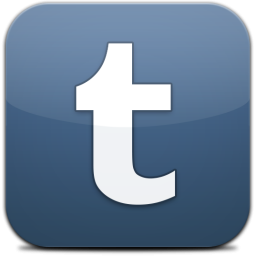 We are happy to see an expanding local scene in Cyprus and Greece. We are proud of this, not only as musicians but as listeners as well. We’d like to urge people to support their local bands whenever they can; there’s a lot of good stuff going on!